Soundiron has announced the release of version 2.0 of Little Pump Reeds for Kontakt. Soundiron say this is a collection of instruments they stumbled across over the months that happen to fall on the smaller side of hand-held air-driven reed-based instruments. 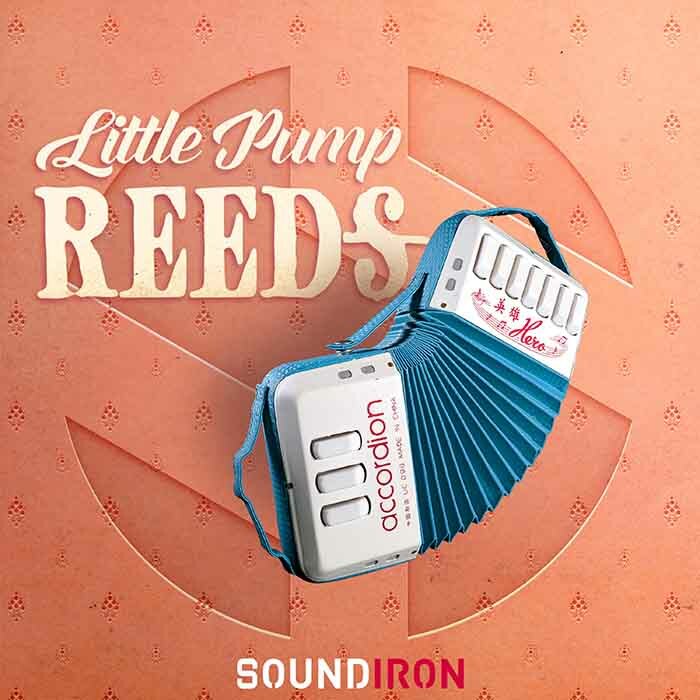 This library ranges from hand-crafted traditional Indian Shruti Boxes, to a mini accordion and what Soundiron refer to as the Plastisax (something vaguely like a child's plastic soprano saxophone, but sounding more like a harmonica). They even found a 2-note paper concertina, for a little reed-based "percussion". 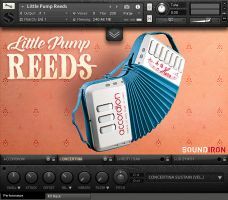 As always, Soundiron sampled each instrument with attention to playability and musicality. Obviously, they took these instruments much farther than they were ever designed to go. These sample sets are playable in a way that one would normally only be able to expect from full-range instruments. The centerpiece of this collection is the Shruti Box. This traditional Indian instruments is similar in nature and tone to the harmonium. It's most commonly used as a drone instrument to accompany voice and other solo instruments in Indian classical music, as well as a growing variety of new age and Celtic folk music. The mini accordion is actually quite the little giant. It has 14 keys and 4 bass drones, naturally spanning three octaves with a warm, fat tone that belies its humble size. The Plastisax is vaguely like a child's plastic soprano saxophone, but sounds more like a crisp, clear harmonica crossed with a reed organ. It has 13 keys, spanning roughly 2 octaves. 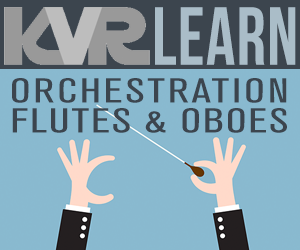 With its rich, warm, playful sound and expressive playability, it's ideal for children's music and programming, or even layered with woodwinds or organs. 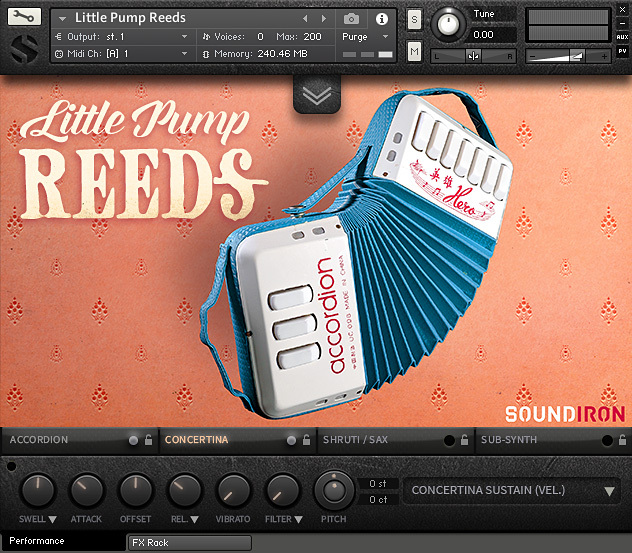 The Concertina includes 14 notes, sampled at multiple dynamic levels and a variety of articulations. 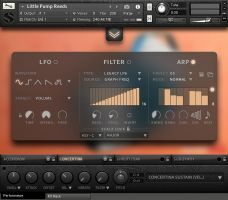 Soundiron have also included 20 unique sound-designed custom FX presets to give you lots of creative options. Intro Price: $17 ends December 14th (Reg. $29).